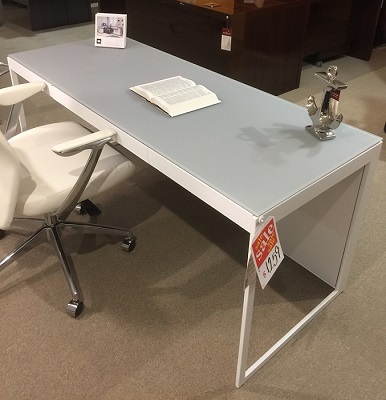 The CENTRO Desk includes a flip-down system/keyboard drawer with space for rechargeable items. Magnetically attached front and back panels tilt or are removable for easy access to concealed wiring. When placed against a wall, the back panel can be left off for direct access to wall outlets.